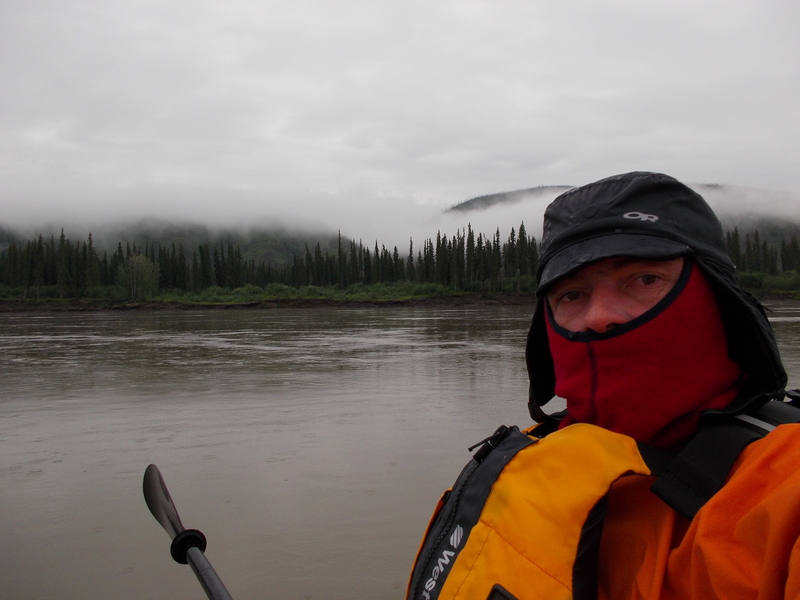 After a whole day spent on the shores of an island, Imre started paddling at 12:30 AM. This is just about when the sun goes down in that area these days. He reached the next island at 4:30, an hour before sunrise. 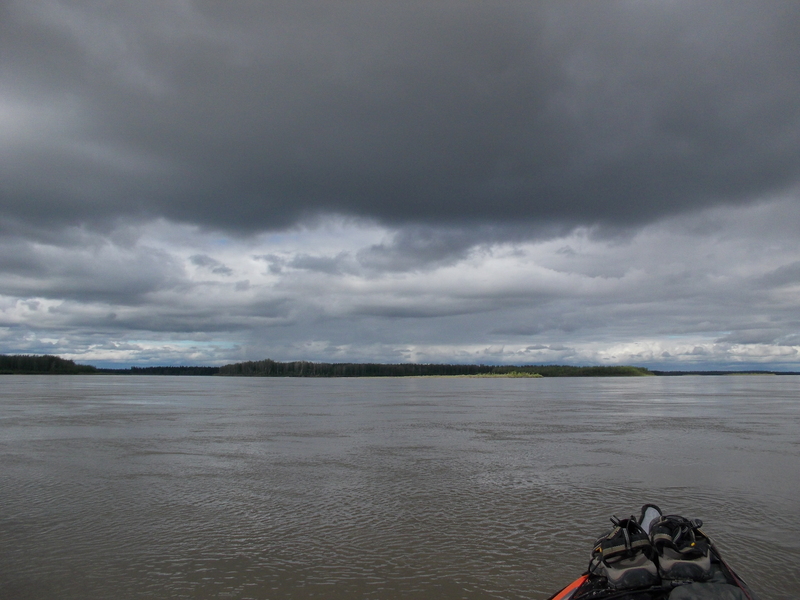 He approached the island, but then for some reason he decided to cross the river and berthed on the other side on the riverbank, close to a small river reaching the Yukon. He did not continue all day long. Once again, we don’t know the reason for this unusual schedule, we are just guessing that weather conditions prohibit him from continuing and he might need to wait for a day or two more. But thanks to the Check button on the Spot device (and Imre’s diligence to communicate in this extremely limited manner) we know that he is all right. Who is that masked man? Imre, you look cold and determine to reach your goal of getting to the Bering Sea. We totally appreciate all you and your family are doing to bring awareness to the blind and visually impaired and the value of Judo.